June, July and August, for many people, are months that reawaken a range of desires that lie dormant the rest of the year. Indeed, summer brings with it the need for holidays, travel and freedom, a desire to be away from home, a need to live lighter, and, fortunately, often the possibility of making such aspirations come true. The long, hot days affect our daily behaviour, often changing our eating habits and increasing our curiosity for trying new combinations and experimenting gastronomically, all thanks to the great variety of flavours that nature offers us during this season. The trend for 2018 is to garnish our tables with products that speak of health as well as novelty, with a perspective that is ever more attentive to the now basic concept of wellness: rose flavoured water ices and turmeric and violet ice-creams have tickled the curiosity of trendsetters and trend researchers. 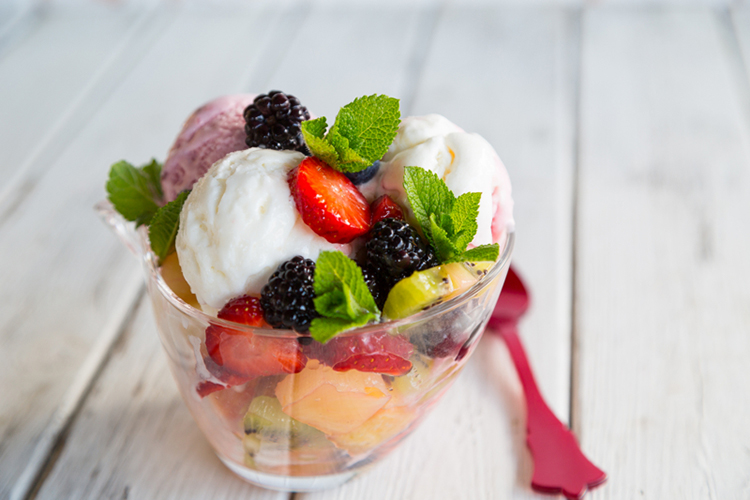 Beyond the diatribe between fashion and tradition, it is certainly true that ice-cream parlours have welcomed the idea of ​​expanding their offerings with new cold and frozen products. Also, thanks to the goodness of summer fruit, nobody can resist the temptation of a fresh and thirst-quenching melon or watermelon flavoured water ice, which makes an evening walk or an afternoon at the beach all the more pleasant. Nutrition experts recommend a daily diet rich in seasonal fruit and vegetable products, which provide just the right amount of vitamins (especially A, B and E) to help protect skin from the sun, thus combining usefulness with pleasure. Galatea has a genuine, healthy response: our water ice bases are the perfect preparation for adding a little imagination and teasing the customer’s palate with classic flavours or innovative mixes, without neglecting health objectives. A good option for lunch with a difference, from time to time, is frozen yoghurt. Ideal for those who love the taste of yoghurt and want a more summery version, it is ideal as a dessert as well as a low-calorie and yet nutritious meal, given its ability to pair perfectly with any type of fruit. Also in this case, Galatea has a solution that comes to the aid of food sector professionals in order to facilitate the creation of artisanal products without the use of emulsifiers, palm oil or artificial aromas or colourings: Yogurt & C. of the Libera line. But that’s not all! 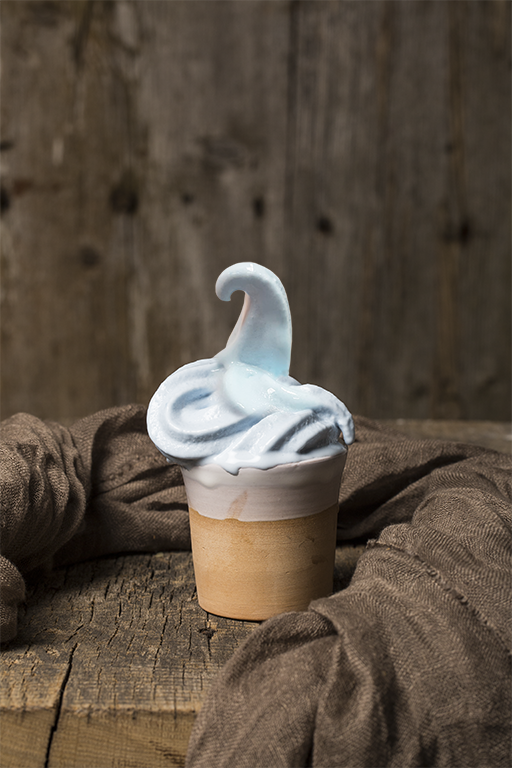 This year, we wanted to impress with a delicious, naturally unforgettable novelty: its name is Frozen Dessert, a product that allows you to prepare an unbeatably fresh and creamy dessert, perfect for any time of day and any restaurant experience. Frozen Dessert has a sublime, creamy and inviting consistency, does not contain synthetic colourings, GMOs or added additives, in full accordance with Galatea’s ethical principles. Designed to give a fresh thrill to every consumer, it knows no limits whatsoever. It is perfect in any variant, from classic fruit and yogurt creams to products that meet the needs of those preferring a vegan diet and of children free to enjoy our now very famous “naturally blue“ flavour. Galatea products facilitate the work of professionals dedicating passion and attention to detail to achieve great successes, and to make summer once more unforgettable in 2018!